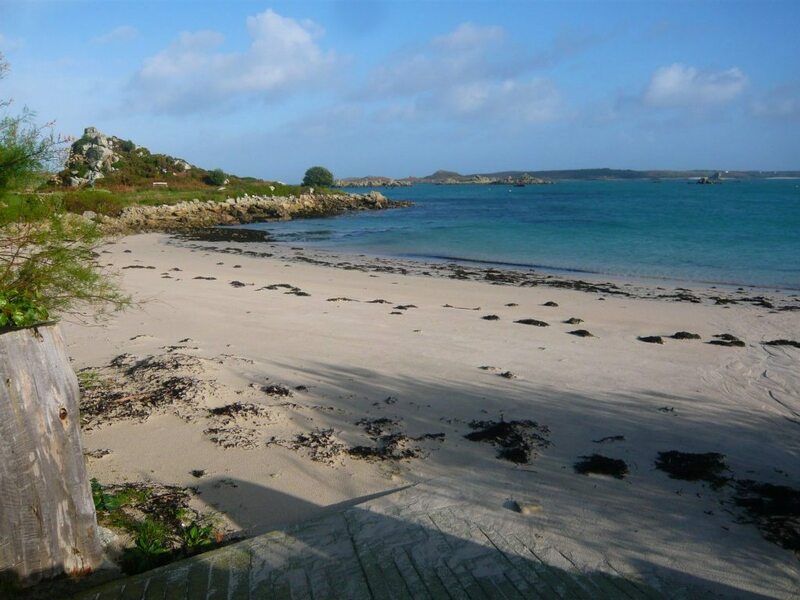 Self catering accommodation in St Mary's, Isles of Scilly. 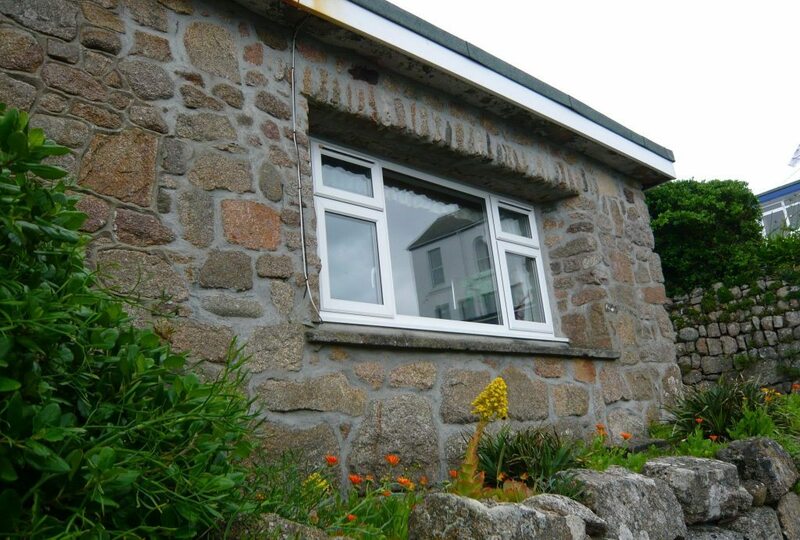 4 star rated property sleeps 4 in 2 bedrooms. Sea views. 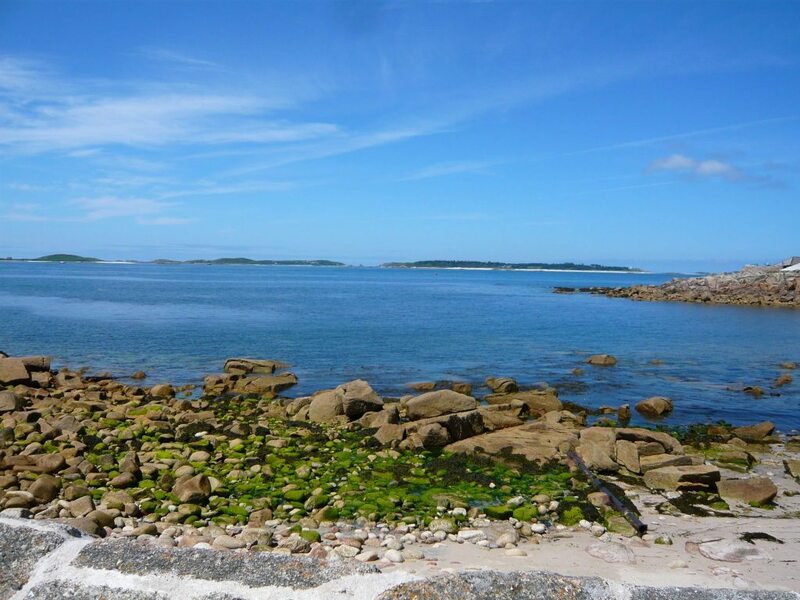 Pilot’s Gig flat is fully self-contained accommodation, sleeping 4 in 2 bedroms & is situated within close walking distance of St Mary’s quay and harbour, and at the hub of all island to island activities. It is conveniently situated for all the local shops, restaurants & attractions. 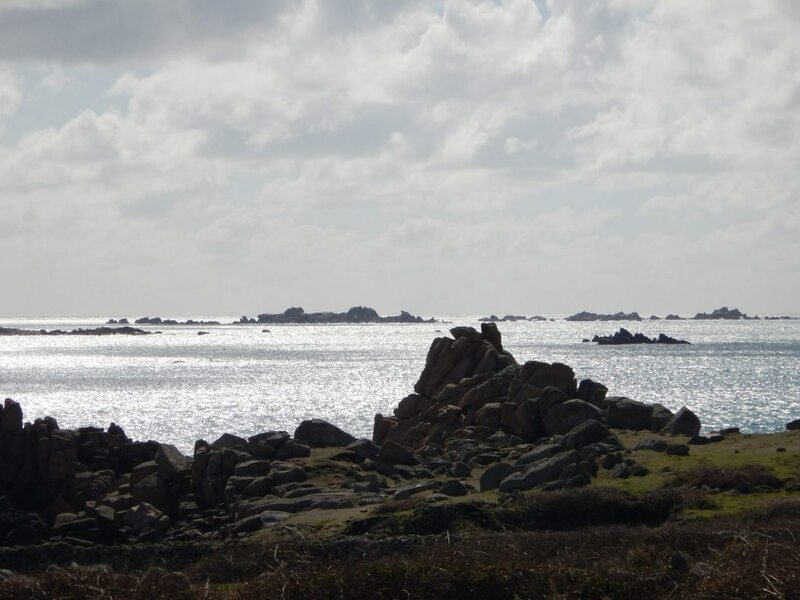 The awe inspiring & uninterrupted views, probably some of the best on Scilly, are towards Tresco, Sampson & Bryher. 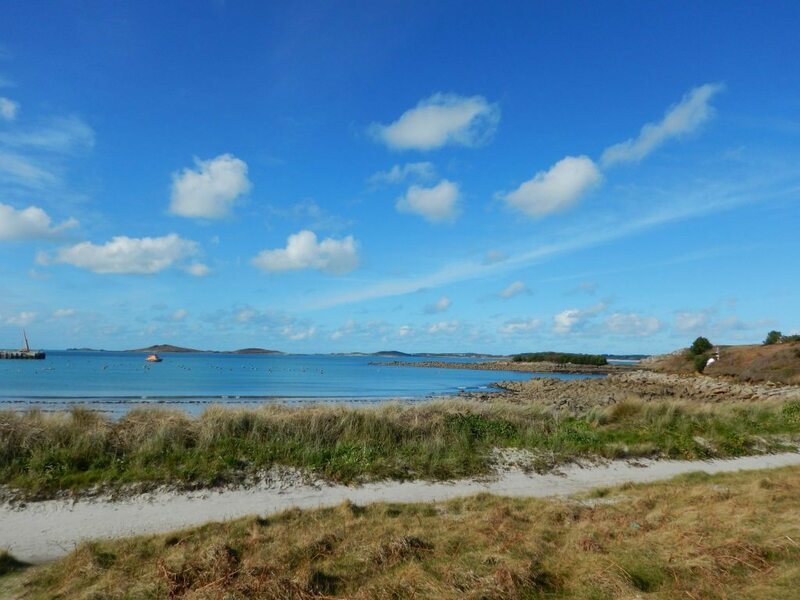 A perfect place to relax & enjoy the scenery, beautiful sunsets & all that Scilly has to offer. 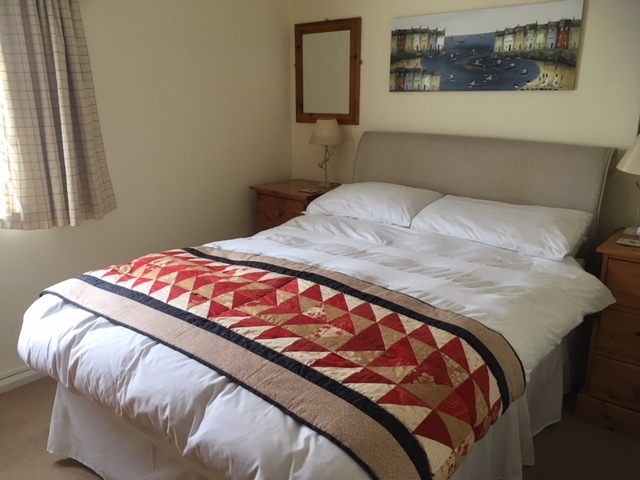 Our accommodation is graded 4 star by Visit England and is bright & very well presented throughout yet cosy & welcoming after a busy day sightseeing. 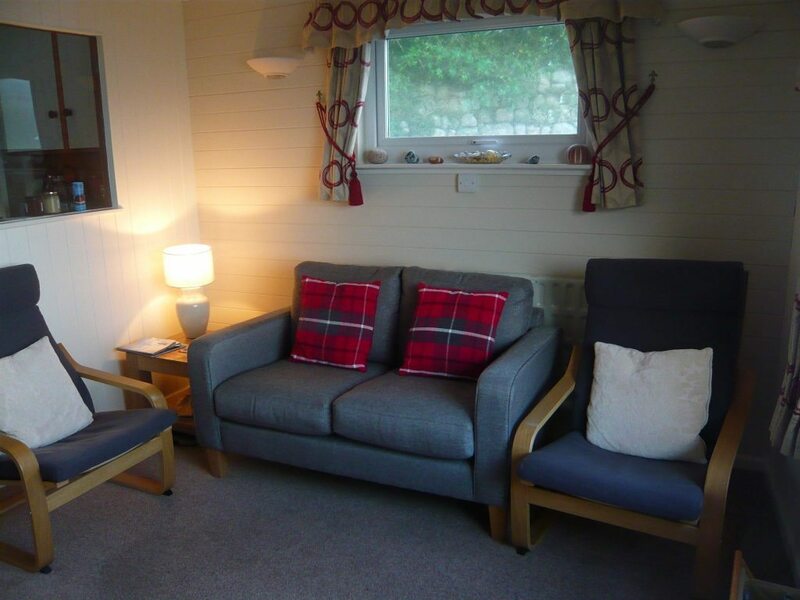 The interior has been furnished to a very high standard & is very well equipped throughout. We aim to provide our guests with beautiful accommodation, giving attention to detail with many little extras to make your stay truly memorable. Free Wifi, utilities & all linen & towels (except beach towels) are included. Sorry no pets or children under 5 years old. The property in non-smoking throughout. Our accommodation is graded 4 star by Visit England and is bright & very well presented yet cosy & welcoming after a day spent sightseeing. 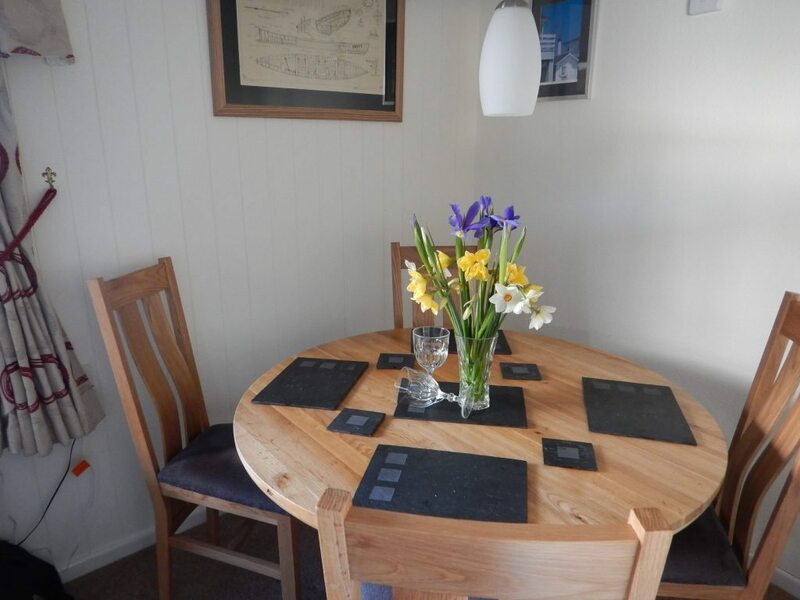 The interior has been furnished to a very high standard & is very well equipped throughout. We aim to provide our guests with beautiful accommodation, giving attention to detail with many little extras to make your stay truly memorable. Free Wifi, utilities & all linen & towels (except beach towels) are included. Sorry no pets or children under 5 years old. The property in non-smoking throughout. The flat is accessed by an external wooden staircase thats leads to the private front door & internal porch. The internal porch has good storage for outdoor clothing & shoes & opens into the lounge & dining area. Once inside the flat all the rooms are on one level. 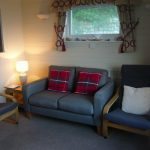 In the lounge there is a modern comfortable two seater settee & two separate comfy chairs. There is a TV with freeview, dvd player & digital radio including ipod decking station, a selection of dvds, cds, books, magazines, jigsaws and games supplied for your amusement. 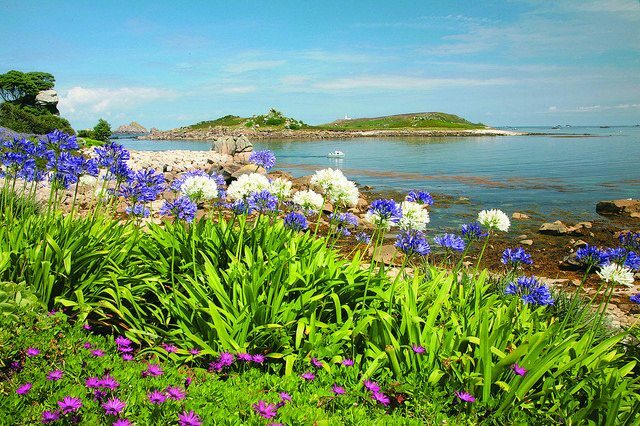 There are also local guide books, maps & walk books covering the whole of the Isles of Scilly. 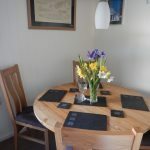 The oak dining table & four chairs are in the corner of the lounge area & make a very sociable area to seat & enjoy home cooked meals perhaps made using some locally grown, reared or caught ingredients. 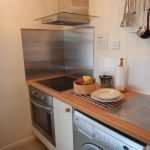 The flat has a fully equipped kitchen with built in cooker and new induction hob, microwave, fridge with icebox & separate freezer, as well as a full range of cutlery, crockery, pots, pans and cooking utensils. There is a washer/dryer & plenty of picnic items including flasks & cool bags. 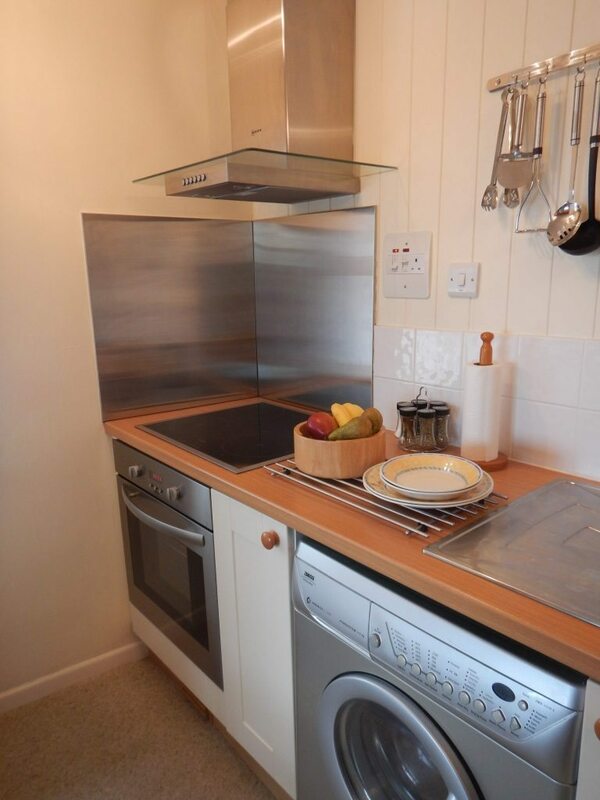 There is room to dry clothes in the airing cupboard just outside the kitchen. There are 2 bedrooms, one with a double bed & the other with 2 single beds, the twin room. 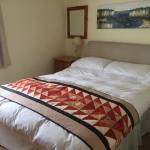 Quality bed linen & mattresses are used throughout. 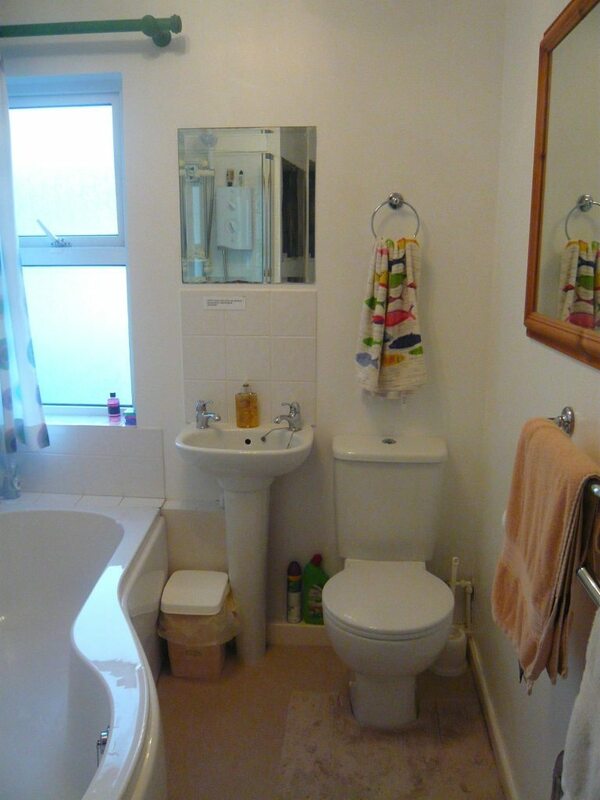 There are shaver points, washbasins & hairdryers in each bedroom & plenty of wardrobe space. 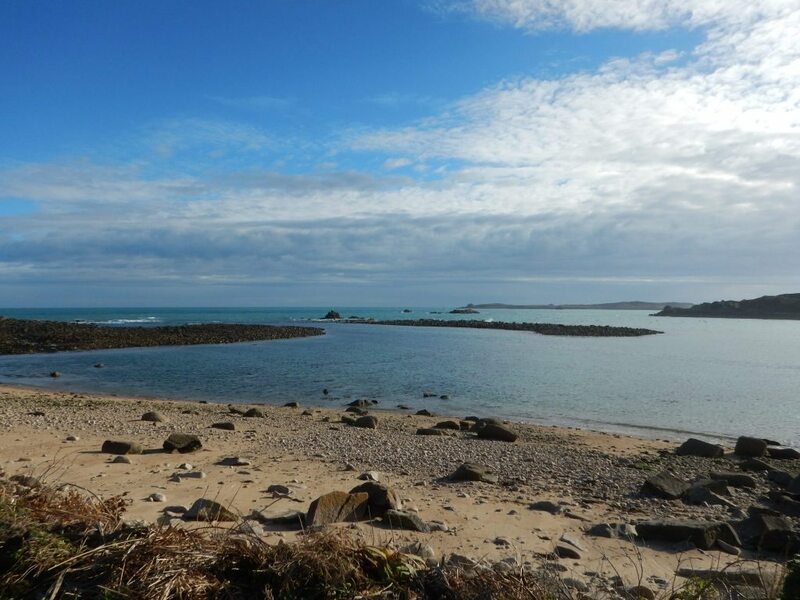 Our flat is open all year & changeovers are on Saturdays throughout the season. 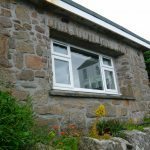 Shortbreaks out of season, minimum 4 nights. Weekly prices range from £450 in low season to £900 in high season. 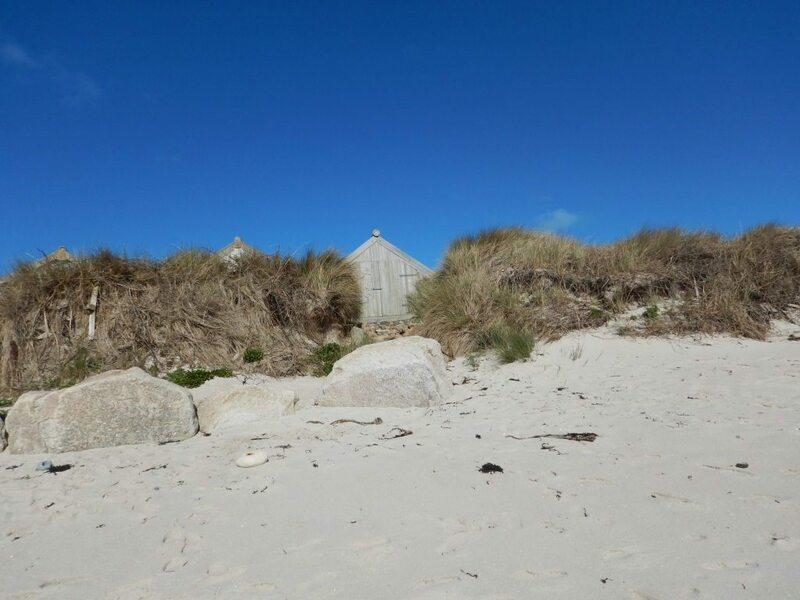 NEW We are able to offer short breaks outside of the April to September period. 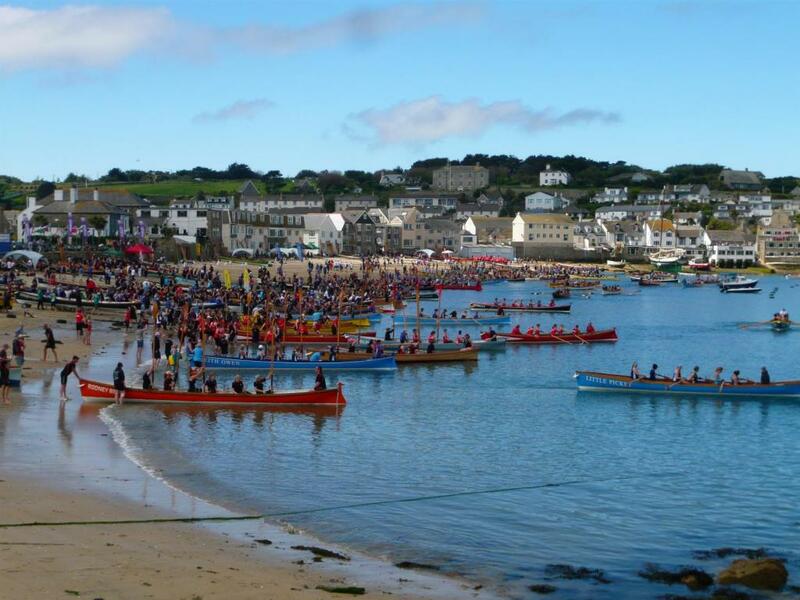 A 5 night break starts either Saturday or Monday & 4 night break starts Saturday or Tuesday. Minimum of 4 nights priced from £100 night. Please email for details. 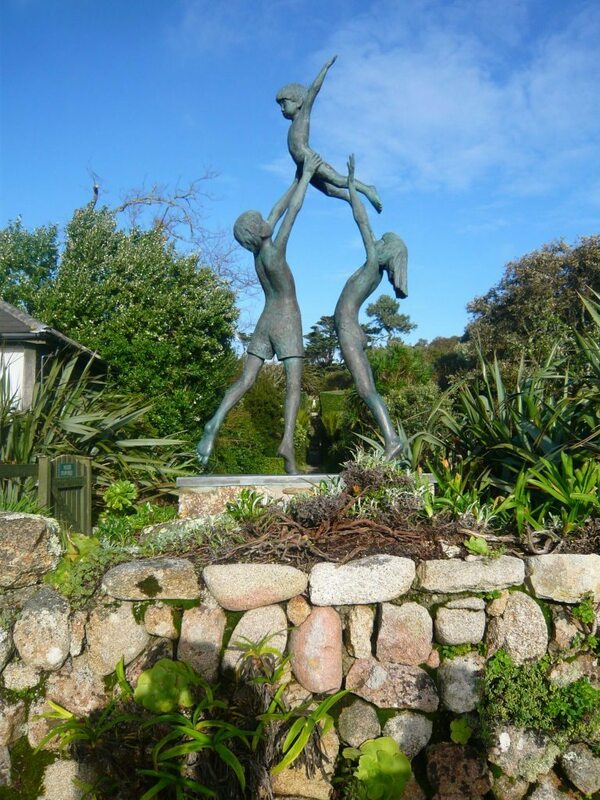 Dont` forget Taste Scilly event runs all of September & it is a great month to visit in any case. Please check the availability calendar for weeks still available** or email dave-bulmer@tiscali.co.uk or call 07881 097518 & we can update you further. 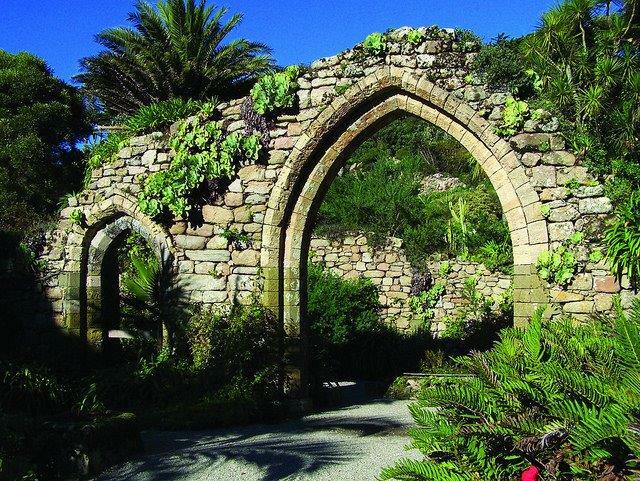 We strongly advise early bookings/enquiries as our accommodation does get booked up quickly. 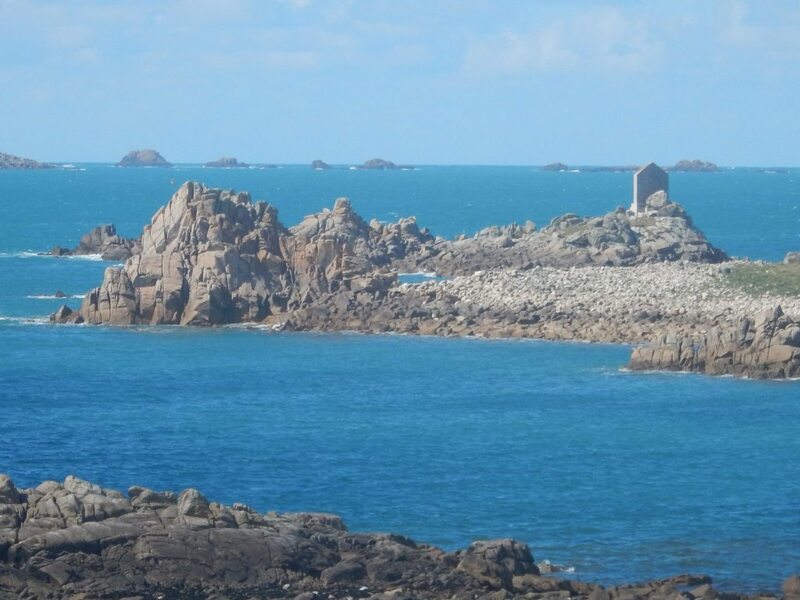 The outstandingviews from the flat make it a very sought after perfect holiday location for couples, friends or families. A £100 deposit per week secures any booking with the balance due 4 weeks prior to arrival, by personal GBP cheque or bank transfer. The accommodation will be ready for you arrival from approx 1pm, although guests should be able to leave luggage (at your own risk) under the entrance steps/in the porch if required, please just ask. Our flat is very popular with our guests, and many return again and again. We always welcome feedback, and if anything is not quite right or in need of updating, please let us know as we are keen to maintain our high standards and service. 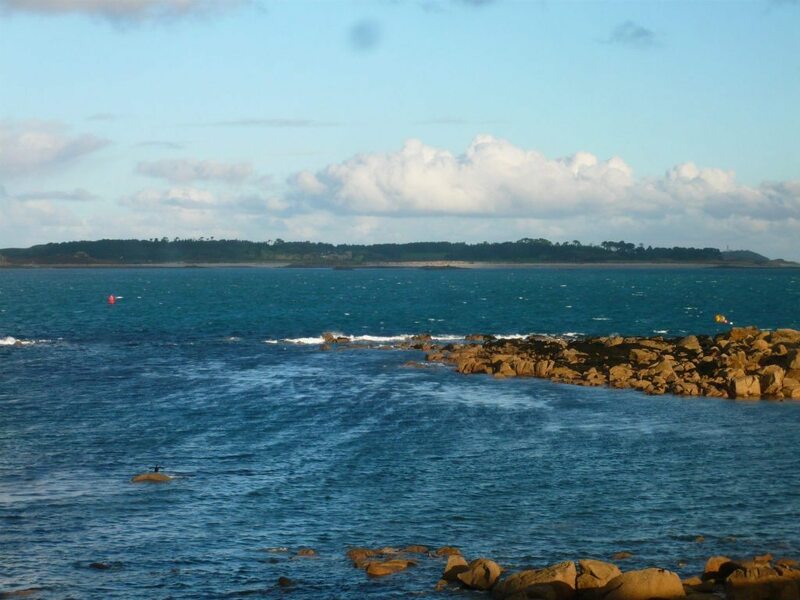 -Wonderful holiday spent at Pilot`s Gig Flat, we loved the wonderful view to wake up to every day. 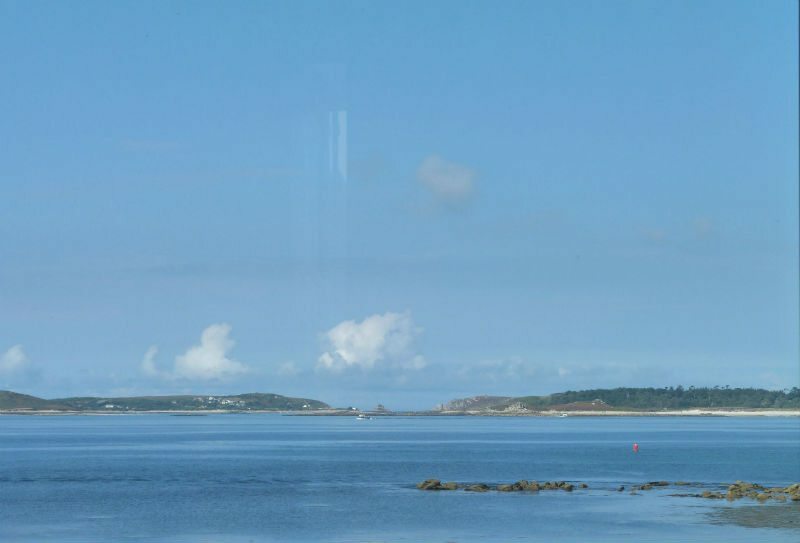 The flat is in a great location, only two minutes from the quay. 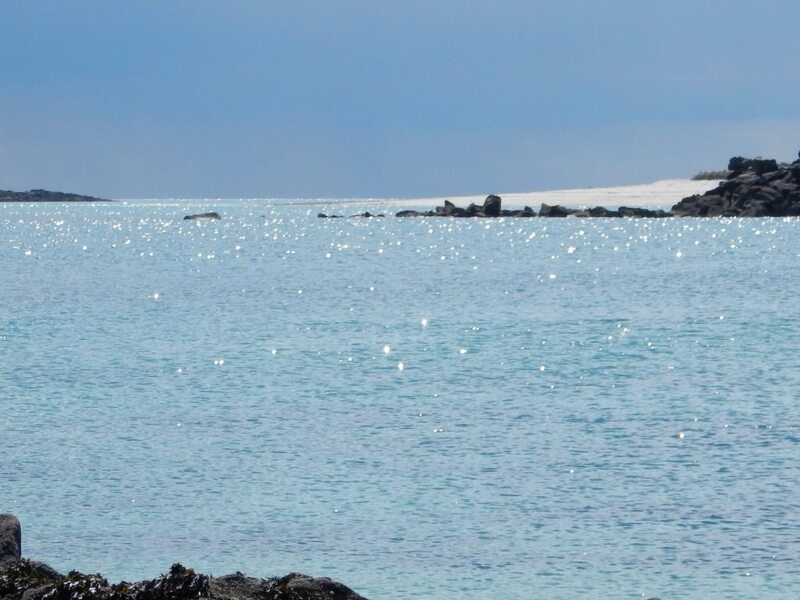 – Great time had by us all – the kids loved making sandcastles & we enjoyed the scenery & relaxed pace of life. The beds were very comfortable & everything was provided, even board games for a wet afternoon. We could not have wished for more, we hope to be back very soon. 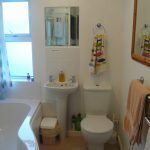 – We have had a great return stay & love the updating that has been done. We`ve booked again for next year & can`t wait to explore more & create more wonderful memories, thanks again. -You may need to book 12 months in advance but so worth the wait! 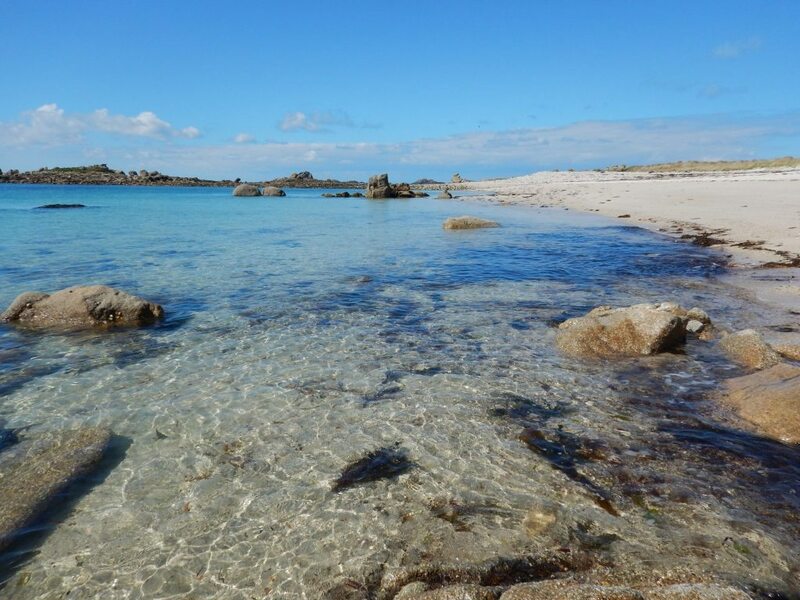 The Isles of Scilly are an archipelago of around 100 islands, situated 28 miles south west off the coast of Cornwall & are an area of outstanding natural beauty. 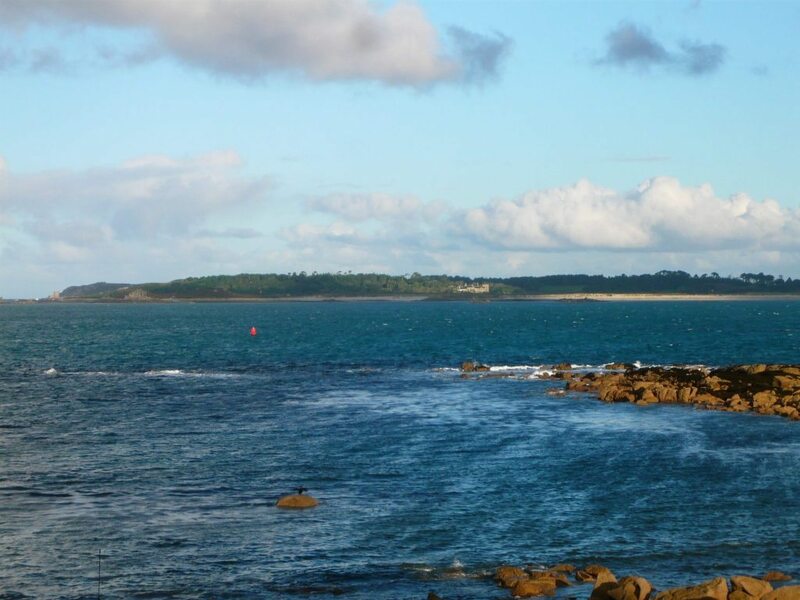 They are reached by either a 2 ½ hour ferry crossing from Penzance, aboard Scillonian III, or by fixed wing plane, operated by Skybus from Land`s End (20 mins), Newquay (30 mins) or Exeter (60 mins). 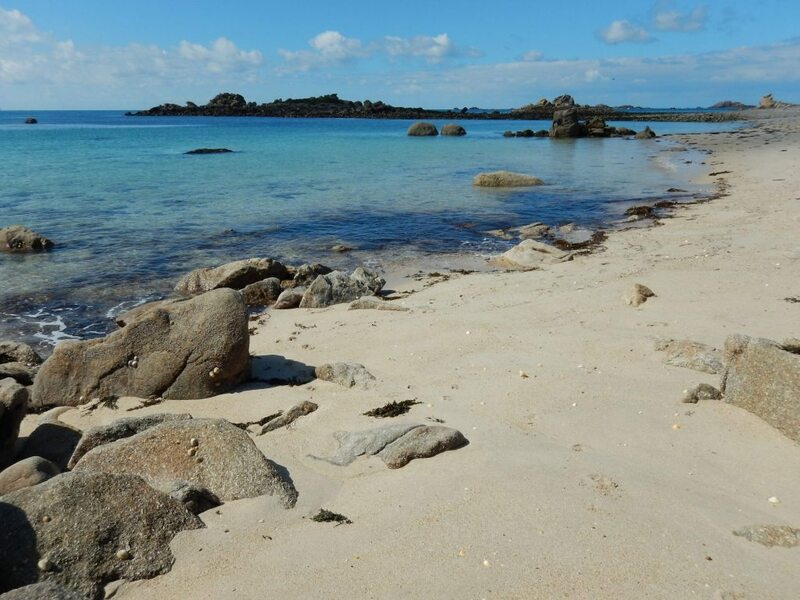 All options for your travel to the islands Scilly can be found & booked @ https://www.islesofscilly-travel.co.uk we can by all means offer advice on your travel arrangements/options if you wish. 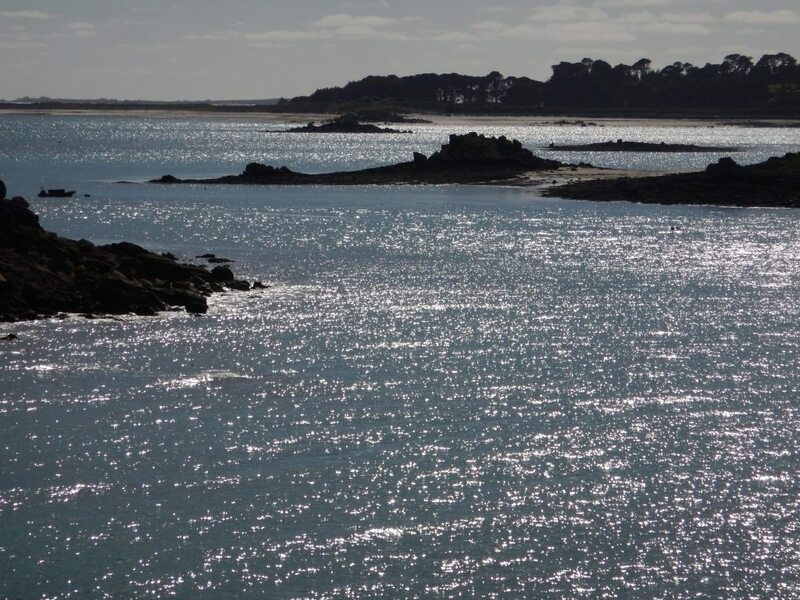 This link to a short video gives you a wonderful overview of what awaits you on Isles of Scilly. 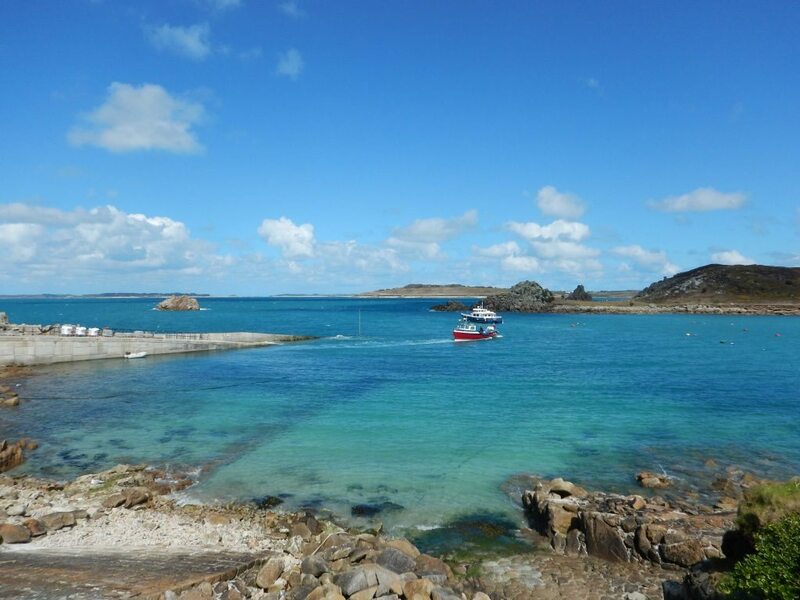 There are five inhabited islands of St. Mary’s, St. Agnes, Bryher, Tresco and St. Martin’s & they all have their own distinct personalities but wherever you go, you will enjoy stunning scenery, an altogether slower pace of life and a warm and friendly welcome. 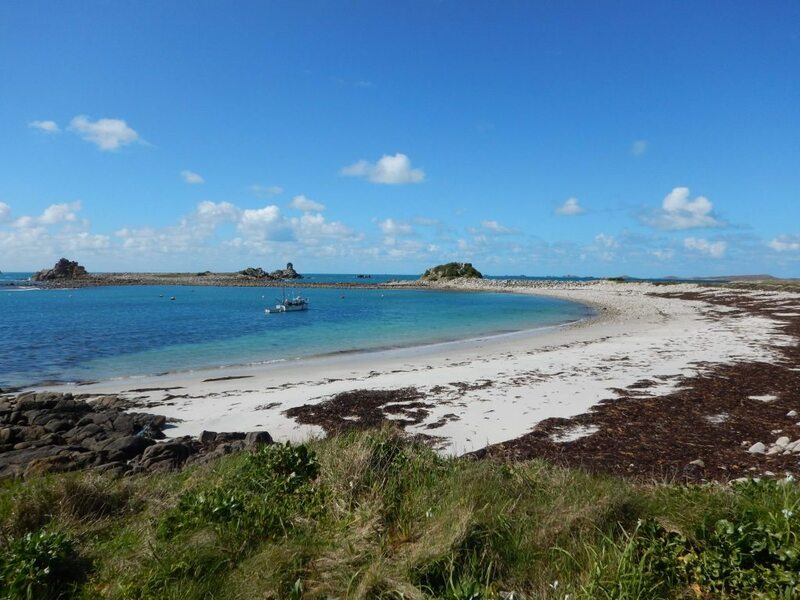 A holiday on Scilly has lots to offer be it bird watching, visiting pre-historic sites, sub-tropical gardens, maritime history, a wide selection of water sports, fishing, walking, or just lazing on the beach with a good book, in fact we think Scilly has it all. 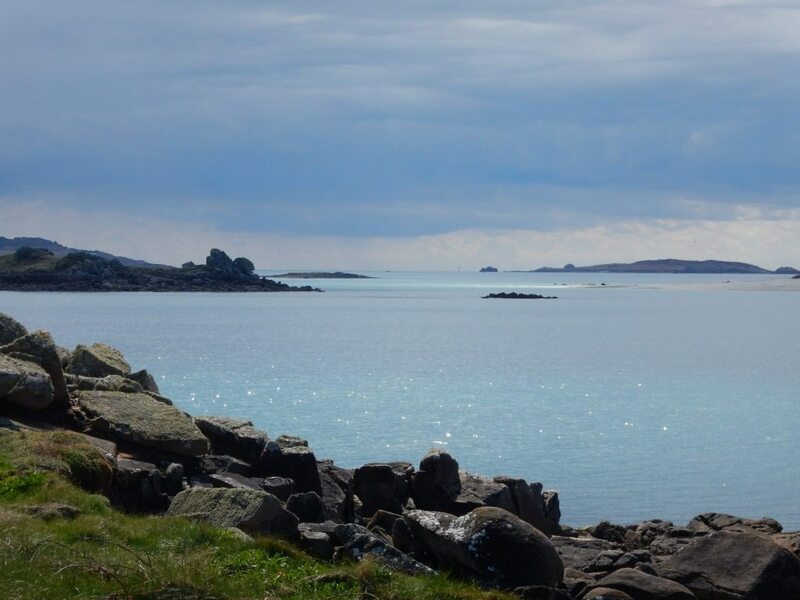 The largest of the islands (2½ miles by 1¾ miles), home to about three quarters of the population, with good facilities including restaurants, café`s, hospital – health centre, shops and banks. 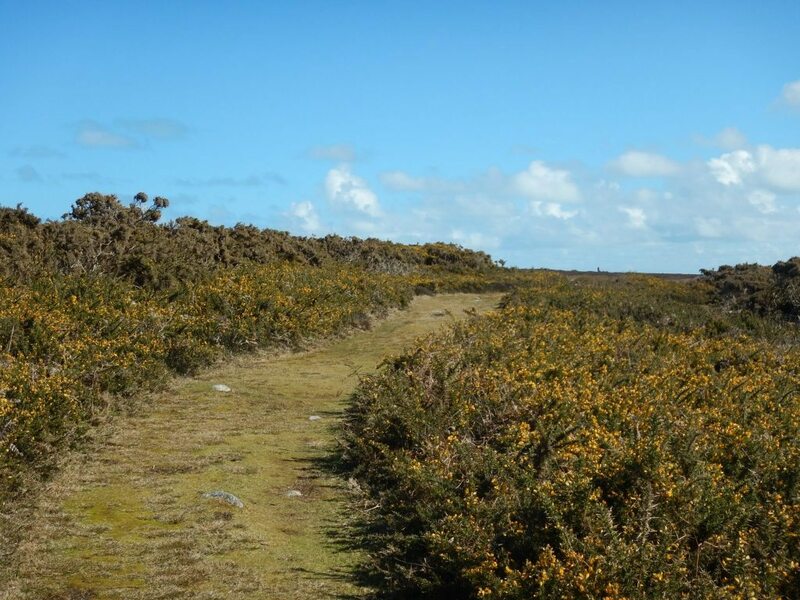 There is wide diversity of fauna and flora in the woodlands, heaths and marshland & plenty to keep walkers, birdwatchers & visitors happy for many hours. 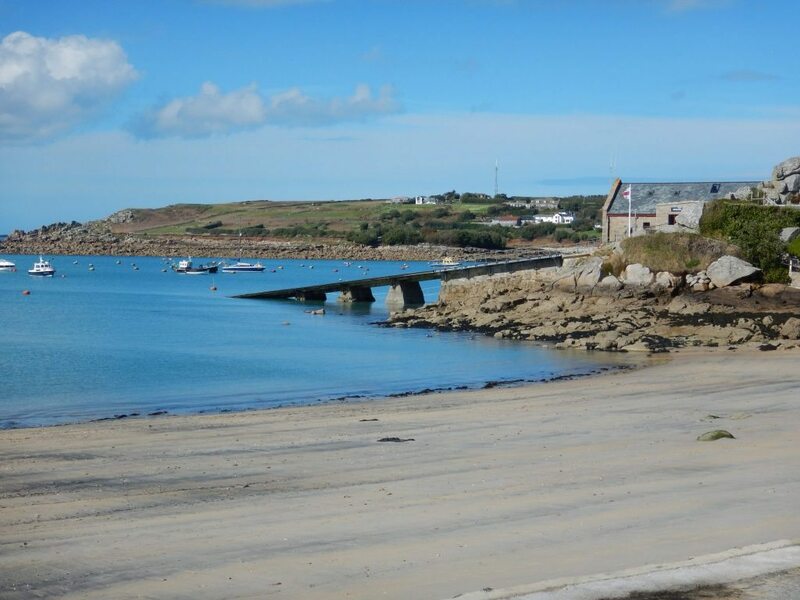 St. Agnes boasts the “Turks head” sea-front pub, restaurant, cafe’s, a post office and grocery store. 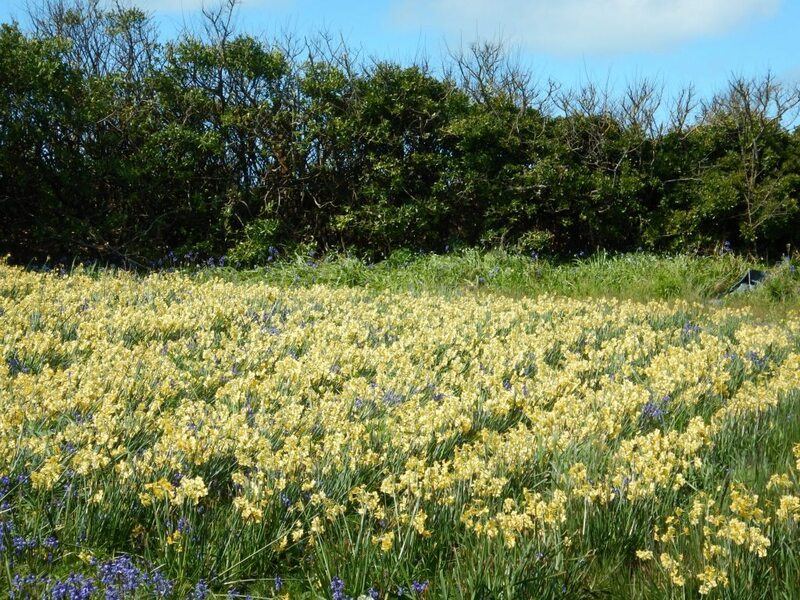 The local farms sell all manner of home grown produce including vegetables, honey, flowers & “Troy town” ice cream is made on St Agnes. The hand soaps we welcome you with come from St Agnes. 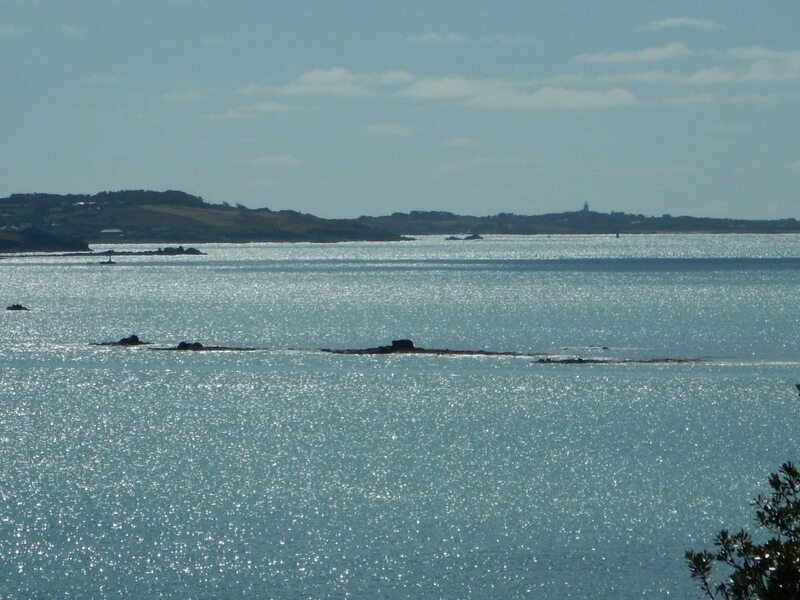 It is joined to neighbour Gugh by a sandy causeway that bares itself twice a day. 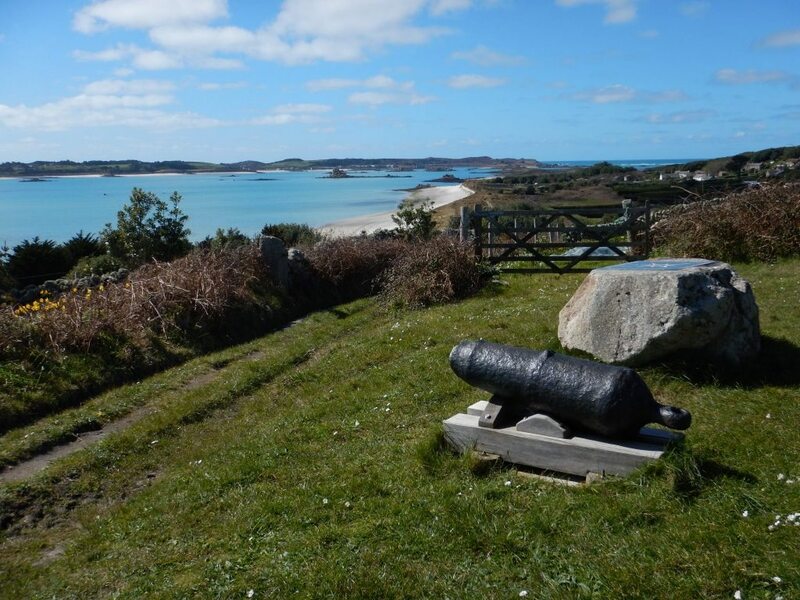 There are many archaeological treasures on Gugh & has lovely views back to St Marys. 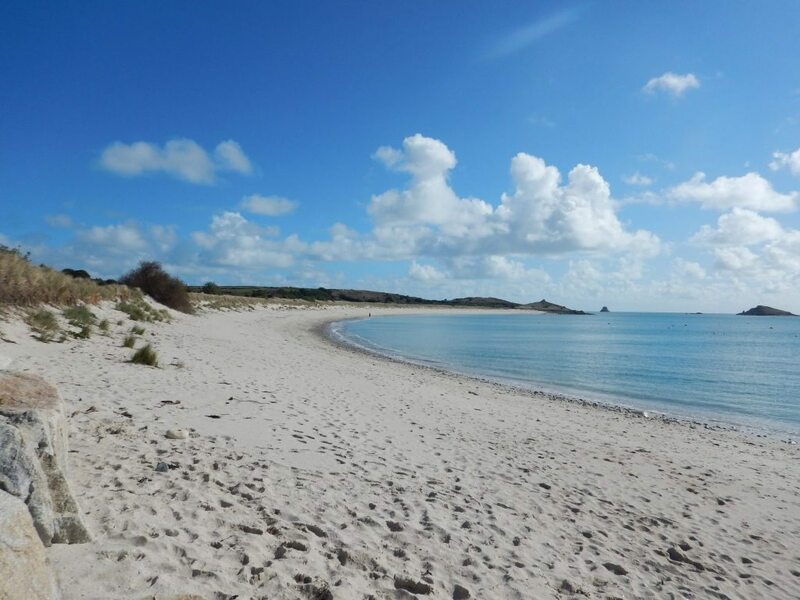 St. Martin`s is famous for its white sandy beaches that almost never get crowded. 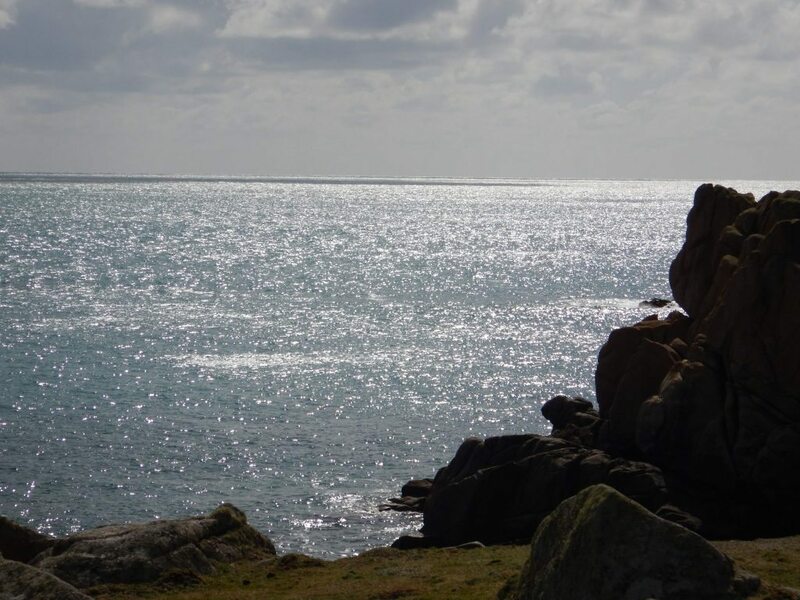 There are fabulous 360 degree views from the Daymark.The character of the island is varied from the rugged, heather clad, cliffs of the north shore to the more sheltered southern aspect, characterised by small enclosed flower fields above sheltered sandy beaches and crystal clear waters. 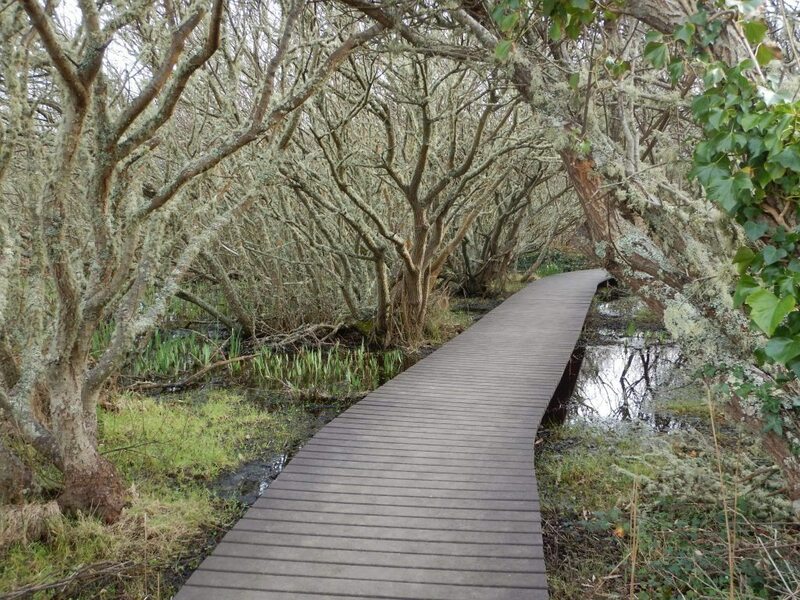 There is a bakery, vineyard & flower farm to explore. 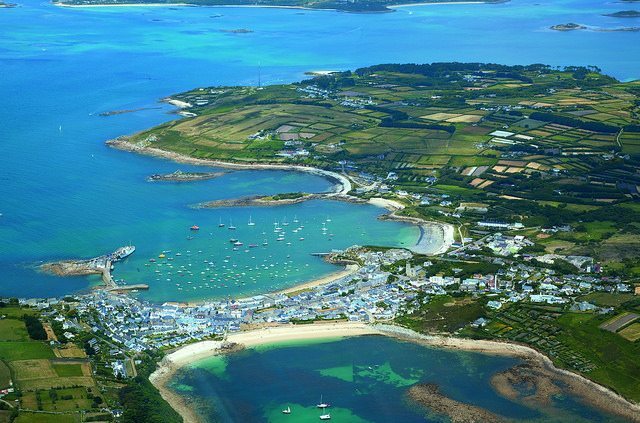 Home to the smallest of all the communities that can be found on the isles of Scilly. 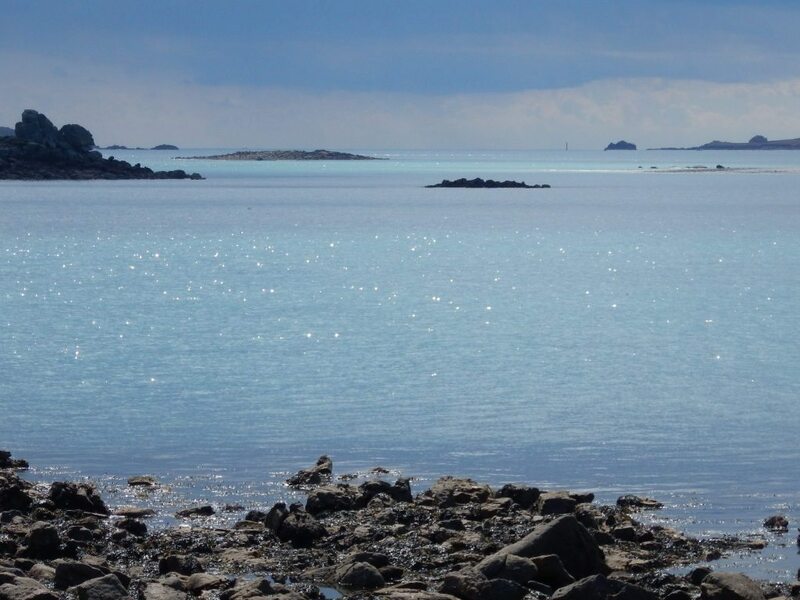 The waters around Bryher are very safe, clear and ideal for diving and snorkelling. 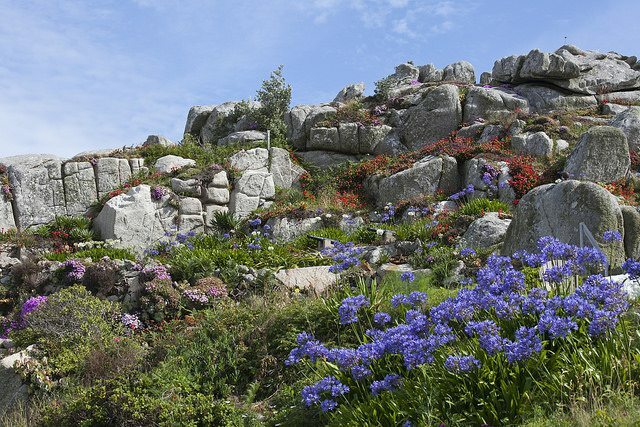 The character of this little island changes dramatically with the seasons; during the warm months of springtime, the island bursts into life with an abundance of colour filling the hedgerows and fields with the fragrant blooms of wild flowers – daffodils and narcissi. 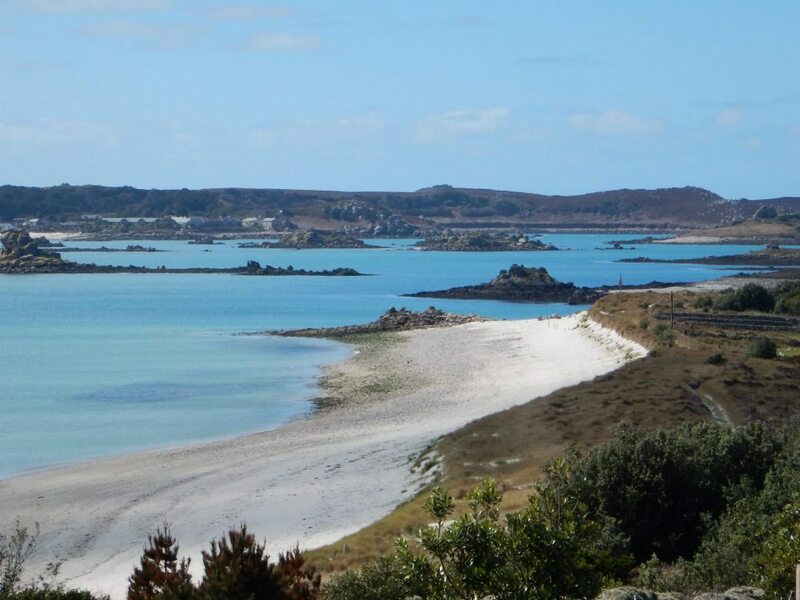 Hell bay on the west coast is dramatic & rugged whilst beaches around Hangman`s island are sandy & shallow. 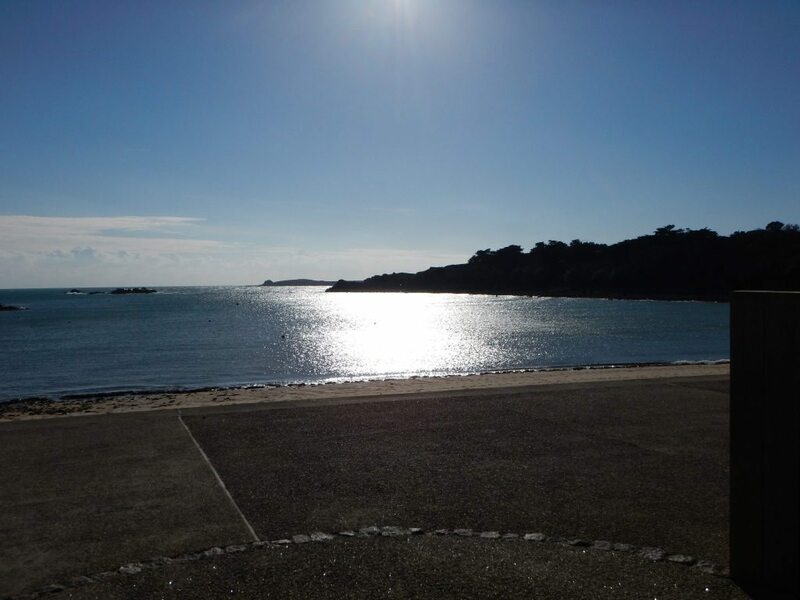 The flat is only a short walk along the quay, bear left at the end of the main quay & then immediately right, through the metal gate to the side of Pier House & up the external stairs at the end of the passageway. Transfer minibuses great every plane arrival so just hop on & ask for Pilot`s Gig Flat & they will drop you very close by, generally by the Chemist shop. Walk down the right hand side of the chemist building & the metal gate across the pedestrian walkway leading to the flat is on your left to the rear of the Chemist. Go through the gate & up the stairs at the end of walkway. Address: The Bank St Marys, TR21 0HY. The map pointer on our Google map as shown on this website correctly marks Pilot`s Gig Flat. Again if you are unsure please just ask.